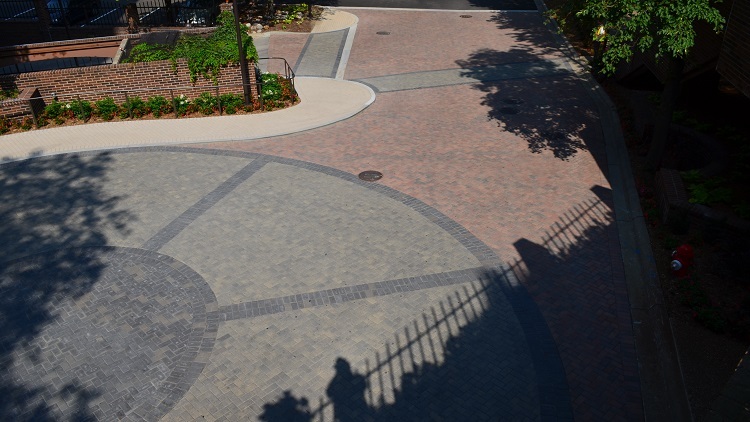 Structures was contracted for the demolition and new installation of the paver driveway and walkways including new concrete curbs and storm water drainage systems. First, the existing driveway, walkways, curbs, and brick planter walls were demolished and removed. 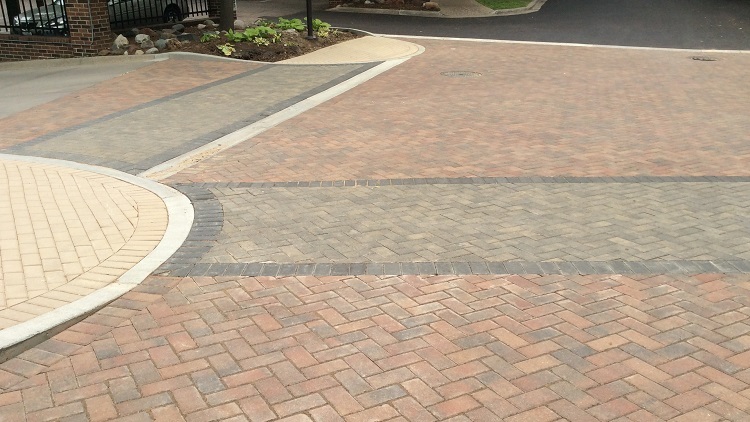 The new driveway structure includes a 6″ aggregate sub-base, a 4″ concrete slab base, and a sand setting bed all under the 80mm Holland Plus Vehicular Pavers. Four different colors were used to distinguish pedestrian areas from vehicular areas as well as the circle drop off area.